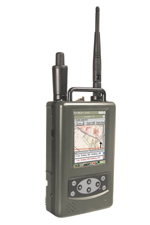 Presenting the world's first integrated Battle Computer, SATHI (Situation Awareness and Tactical Handheld Information) from Encore's suite of mobile computing products. The Beta Battle Computer, now named SATHI, is a hand held battle computer made for infantry sub units of the Indian Army under Project Beta, a pioneering project by Indian Army and Encore Software Ltd. SATHI, which stands for Situational Awareness and Tactical Handheld Information, provides ‘Situation Awareness’ and ‘Communications’ to a sub unit (infantry company and below) during operations in the battlefield. It is truly a battle computer, which acts as a force multiplier during engagements with the enemy and not merely a fancy PDA. It significantly improves co-ordination within the team and command and control by immediate and higher commanders thereby enabling swift surgical operations. 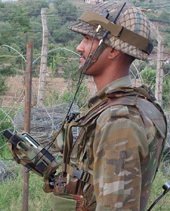 The overall concept of SATHI is to deploy a dynamic and ad hoc radio network of hand held computers within a team in the area of operations, which provides a Common Operating Picture (COP) and communication to the team during the conduct of the operation; and also provide regular and automatic updates and two-way data communication to higher HQs over the Combat Net Radio (CNR) network, by connecting one of the computers of the team to an external longer range radio. The higher HQ is also able to view the ongoing operation dynamically on a PC/laptop and communicate with it. This use of IT at the grassroots level and its connectivity to the higher HQ is the revolutionary aspect of SATHI. The basic computing platform is an enhanced version of the SIMPUTER, a pocket Computer developed by Encore in 2001. It has integrated GPS and radio modules, a GIS capable of handling vector/raster maps of any scale, and a digital interface to RS STARS V for back channel communications to higher HQs. It can also be connected to a telephone network and access a dial up server for TCP/IP / PPP / FTP file transfers. The current battlefield application software, being a pilot effort, has been customized for infantry sub unit operations in counter insurgency (CI)/counter terrorism (CT) operations. 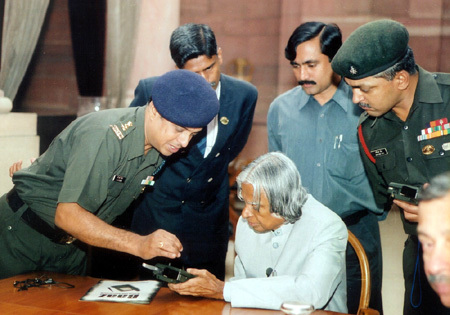 However, its unique design can support conventional operations by all Arms and Services of the Army and some operations of Air Force and the Navy, in the battlefield or otherwise, without any change in hardware and most of the software. The technology being indigenous, variants in hardware and software can easily be developed to specific requirements. Copyright © Encore Software Limited. All Rights Reserved.